Question: What if there is a hole is located on the bottom side of my waterbed mattress? I’m pretty sure the leak is not anywhere easy to get to and repair. 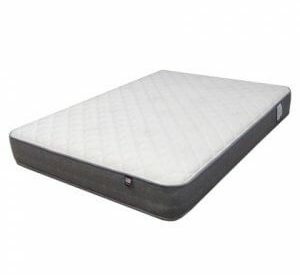 The top side of the mattress is dry, but down underneath of the bladder it is wet and there is standing water. Does this mean the leak is underneath the water bed mattress? 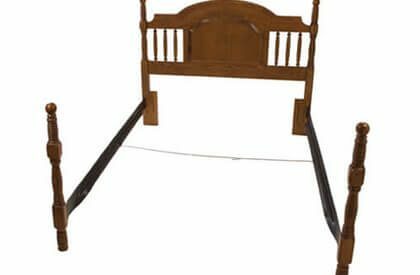 The top and sides of the bed being dry doesn’t necessarily mean the water bed does not have a leak in those particular areas. Water will seek the lowest point no matter where it is located hence the standing water you might find under a water mattress. Leaks can be fickle and hard to find sometimes and are not always in the most obvious places. Top, sides, and ends are those obvious places but it still has to be found. Sometimes those leaks are not obvious or easy to find. This is because some holes will only leak when put under pressure for example when you are laying on the bed. In a low humidity environment like a house the water trail from a leak can quickly dry erasing the telltale trail of wetness and seepage that typically helps a person to locate a hole. 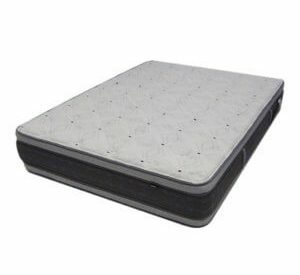 So where is the best place to find a leak in a waterbed mattress? There really isn’t a best place but there are some leaks are easier to find than others. The following are the areas where nearly all leaks occur and are some of the easiest to get to for repair: Seams, corners, wrinkles, blemishes in the vinyl, mattress surface, and especially sides. These are by far the most vulnerable areas for failure or punctures. The underside while not immune to problems should be inspected when all other areas have been thoroughly inspected. First – Do you have a free flow or a baffled mattress? Free flows have nothing but water inside and baffled models the waves are restricted to reduce wave movement. To find leaks on the bottom one must be extra cautious not to shift free floating fiber or baffles out of place. This can be done by filling a mattress to 3-4 inches and then placing one hand on the underside and one top side of the mattress as if you are clapping your hands together. 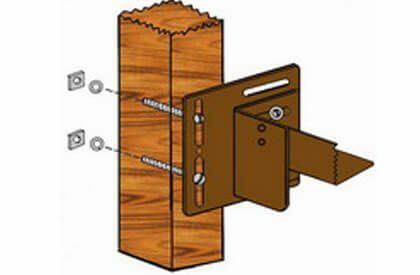 Clamp mattress tightly between your hands and fold back mattress on top of itself and inspect for moisture. Circle damage with marker and unfold mattress the same way and lay it back out and drain completely and vacuum pack ideally with a wet dry shop vac or venture pump. Completely drain the mattress. At this point you are ready to flip the mattress over carefully and repair the hole as long as it is not on a seam or corner. Also be leary of cuts larger than ½ inch they rarely hold. Finding a leak Underneath A Water Bed Mattress is farely easy,. We hope our tips help make your job easier. Have some tips you would like to share? Please comment below or read more tips. #2: When is it Ok to repair my waterbed bladder with a patch kit? Purchase a Waterbed Repair Kit Now! My water bed appears to be losing water. We have not added any in 5 years…new bladder then. I check all the way around and do not detect moisture anywhere. Is it possible to have a small leak on the underside that dries or just doesn’t make it to the outer areas of the liner? I wouldn’t think they could evaporate. We have slept on a waterbed for 30 years, and we still find them to be the most comfortable. I am not seeing water anywhere, but we had a leak with the last mattress, and I would definitely like to avoid that particular mess. We have the one with fiber in it. I’ve been looking for a good waterbed, and I think that being able to get some information would be good. I’m glad you talked about being able to get some help taking care of a leak in a waterbed. I’m going to have to look for a good waterbed and see what we can find!